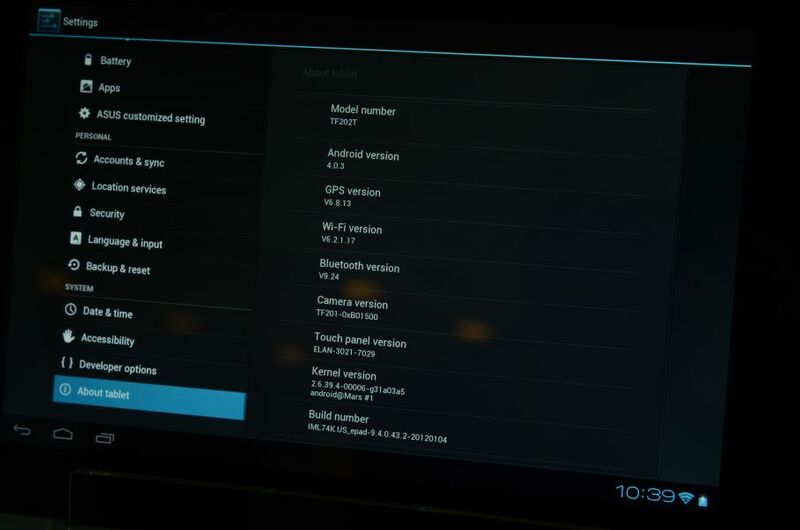 We reported earlier last week that the Ice Cream Sandwich update for the Asus Transformer Prime will role out January 12th, but today at NVIDIA’s CES 2012 press conference, it was officially announced that the update is rolling out starting today! So the world’s first ICS tablet is here! The first tablets are already receiving their Android 4.0 Ice Cream Sandwich update as this article is being written! As usual it will role out slowly, but go to Settings > About phone > System updates > Check now to see if your update is ready for you to download. As you can see in the picture below the update will boost you into beloved TF202T into the Ice Cream Sandwich world version 4.0.3. Follow us on Twitter, Like Us on Facebook or subscribe to our RSS as we will cover more news from CES 2012 in Las Vegas.